Before you make any changes to your recorded deed, we strongly encourage you or your attorney to contact the Club Office before you do so. 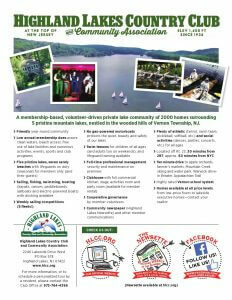 The Club’s By-Laws, in part, define Active Members as those who own property in Highland Lakes. 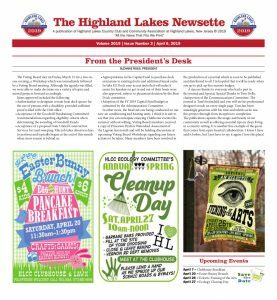 When persons take title to property in Highland Lakes for the first time, even when they join in the ownership of property with someone who currently owns property in Highland Lakes, they become a new member and are required to pay the Initiation Fee. 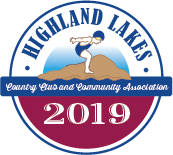 In keeping with Voting Board policy, if a member sells their only Highland Lakes property and buys another within 365 days of their sale, no Initiation Fee will be assessed. If you are considering adding anyone to your Deed, a wife, parent, child, friend, etc., please be aware of these By-Law requirements. Sometimes members form a living or family trust as part of their estate planning. However, even this type of trust is a different, and therefore new, owner of property, and the payment of the Initiation Fee is required. If you are considering transferring title to your property to a partnership, limited liability corporation, association, fraternal organization or similar body, an Initiation Fee will also become due. There is one important distinction in these cases that you should understand. The By-Laws limit the issuance of membership privileges to “…no more than two persons…” representing these owners. Therefore, not more than two membership badges will be issued, and Family Activity and Family Facility badges are not available for purchase. In planning changes to your ownership of property that would be reflected in the recorded Deed, contacting the Club Office before you do so for guidance is advisable and will eliminate any misunderstandings.